From birth to 6 years, a toddler’s growth progresses at a very impressive rate and needs an adapted nutritional intake. Studies show that a good nutritional intake during the first 6 years of a child’s life can have a major impact on the future health of the child. Early nutrition affects the growth, brain & visual development and immunity. 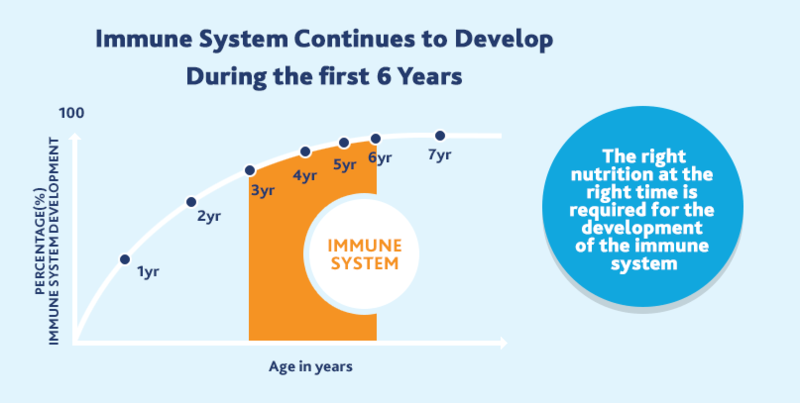 Your child’s immunity is in a rapid development phase at this stage of life and it is important to ensure he gets the right start through the right nutritional support. 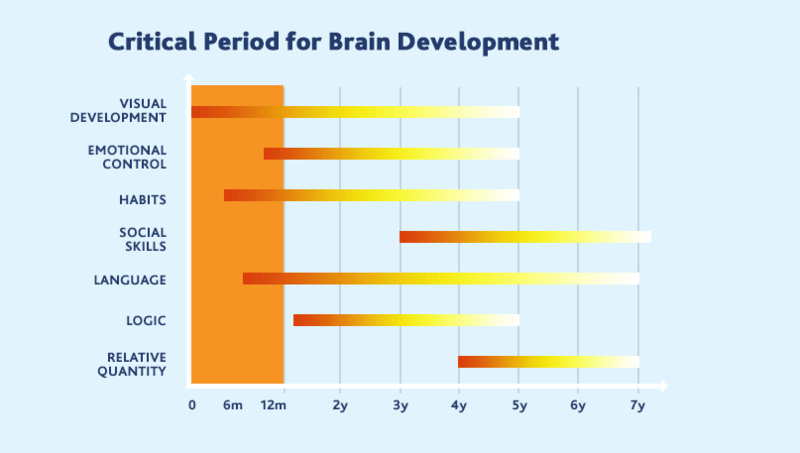 It is also a key period for brain development thus the need to provide the child with essential nutrients to support the brain development mainly LCPs that are not found in adult’s milk.